Why, yes, it’s not even Christmas yet and I’m thinking about & promoting Valentine’s Boudoirs!!! I only have a few spots left! 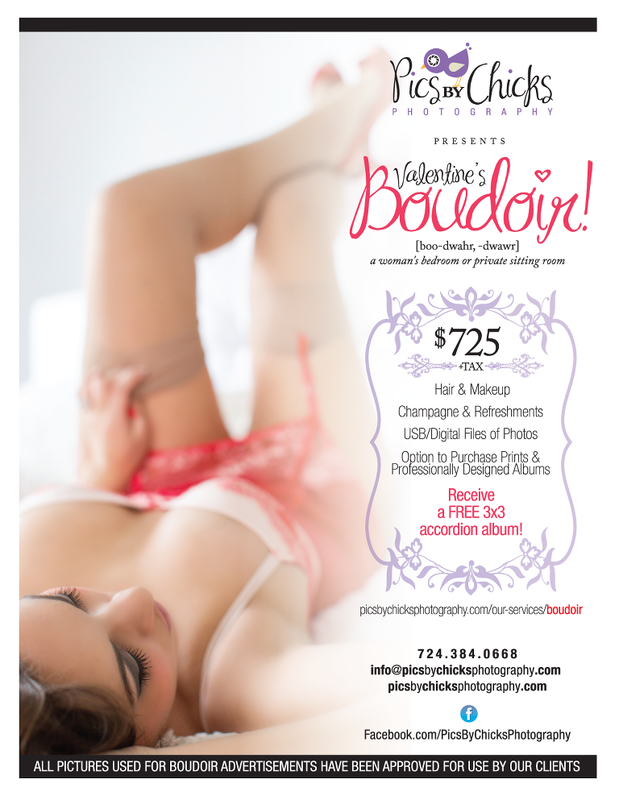 If you book your Boudoir Session by January 5, 2015, you will receive a FREE 3×3 accordion album. This is in addition to receiving a USB drive of the images from your session! In order to qualify for this promotion, you MUST book and pay your session retainer (50%) by January 5, 2015. Your session does not need to be completed by 1/5 – you just have to secure your date by paying the retainer. You do not have to be scheduling your boudoir specifically for Valentine’s Day – as long as your deposit is paid by 1/5, you receive this promotion whether your session is next month or scheduled for June. Album details are below. Don’t wait! Contact me today to get your session scheduled! Click HERE to visit our boudoir services page for pricing details. To see photos from other boudoir sessions, click HERE. The 3×3 accordion album is a small album that you could give as a gift. It is leather bound black cover and very discreet (you can upgrade to a photo cover for $40). This small album can fit between 5-8 photos. You will pick your favorite photos from your collection and the album will be created, ordered and shipped to you along with the USB drive. There is no cash value to the album and cannot be exchanged for a discount to a bigger album. If you have any questions, please contact me directly.